This is the most popular and well-recognised SCUBA diving course on the whole of God's green (and blue!) Earth. This course will provide you with all the skills, information and training you need to be able to dive anywhere in the world for the rest of your life. The training lasts 2 and a half days (if you are short on time and want to finish quickly) or up to 4 days (if you want to take it slow with more time for breaks or extra study). These days will include learning/theory with your PADI Scuba Instructor, training in confined water and then 4 open water dives at a variety of the best dive sites in the Phi Phi Marine Park. Anyone in good health over the age of 10 years can take the course, with no previous diving experience required. During this course you will complete five dives in total at a selection of beautiful dive sites in the Phi Phi Islands Marine Park. We can promise you will see mind-blowing underwater environments that many people never get the chance to see with their own eyes. Your safety and comfort is very important to us at Beachfront so we limit our group sizes to 2 students per PADI Scuba Instructor. This means you experience fantastic, personal service and you get the attention you deserve. Much of the excitement of diving comes from the wonderful creatures you can see underwater. SCUBA divers from all over the world come to Phi Phi year after year as it is a haven for marine animals. During your Open Water Course we will take you to 4 dive sites allowing you to see all of what these beautiful islands have to offer. This includes turtles (everyone loves turtles, right? We sure do) and Phi Phi has 2 different species; Green and Hawksbill turtles. Sharks are also a common sight around the islands (don't worry, they're not dangerous to humans!) The black-tip reef shark is an incredibly gracious animal that you can only fully appreciate once you've dived with them in their natural habitat. We also have docile leopard sharks that can be seen sleeping on sandy patches during the day time. There are hundreds of species of fish in every colour of the rainbow that you will learn about during your training, including lionfish, batfish, butterflyfish, clownfish (aka Nemo), pufferfish, scorpionfish, boxfish, grouper, parrotfish, rainbow wrasse, barracuda, needlefish and trumpetfish, to name a few. Many divers' favourite moment is approaching a school of hundreds and hundreds of yellow snapper and calmly swimming through them, until you are encircled in a tornado of fish. Mesmerising! Octopus and peacock mantis shrimp can also be spotted if you have a keen eye and the colour-changing cuttlefish is arguably the most impressive of all. Dolphins can occasionally be spotted jumping on the surface whilst we are traveling between sites and if you're really lucky you will see the worlds largest fish; the whale shark, measuring up to 10m in length. Wow. The course is actually very flexible and we can happily arrange learning to SCUBA Dive to fit in with your holiday plans. As a minimum, 2 and a half days are required, but many of our students take 3-4 days to complete the course as they like to have extra time between diving to explore the island. Below is an example schedule of a typical Open Water Course at Beachfront Divers. We’re sure you’ll love scuba diving in Phi Phi! 9.00am Meet at our Beachfront Resort and enjoy breakfast by the beach while you meet your PADI Dive Instructor and start to watch some diving videos. This light theory will last approximately 3 hours and involves some quizzes based on the videos you've just watched. 1.00pm After your lunch break (and optional swim in the sea or sunbathing on the beach) it's time to get in the water! We will fit you with our fantastic SCUBA equipment. Beachfront Divers has the highest quality and newest dive gear on the whole island. We will take you to a local site ideal for first-time divers and the majority of this training will be in very shallow water, allowing you to build your confidence and skills in a safe environment. Here you will complete 25 diving skills with your professional and enthusiastic Instructor, which usually takes about 2-3 hours. 8.00am All aboard the dive boat! This is a very exciting time as you will do your first 2 dives this morning. You and your Instructor will be together underwater as you get your first glimpse of a coral reef and all the animals that inhabit it. The boat trip involves food and refreshments and each dive is approximately 40-50 minutes. 2.00pm Debriefing of your dives with your Instructor followed by a few more videos and the final exam (don't stress too much, it's a straightforward multiple choice test). 8.00am On the boat again for your 3rd and 4th dives. Now you're becoming a proper diver. This is where you really get into the swing of things and you become a confident and capable diver, showing off your skills to your Instructor. Today you will descend as deep as 18m and explore more of Phi Phi's natural underwater beauty. 6.00pm Complete your diving logbook, your record of all the wonderful things you saw underwater. 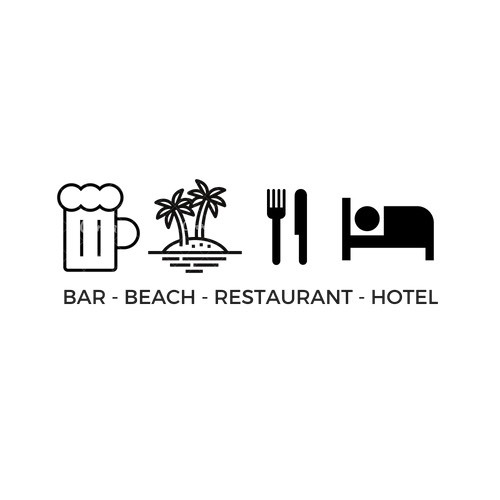 Then it's time for celebratory drinks at the Beachfront Bar! You will feel a great sense of accomplishment having completed the course so come and unwind with a few Thai beers or tropical cocktails and share your stories of your first underwater adventure with other like-minded travelers. 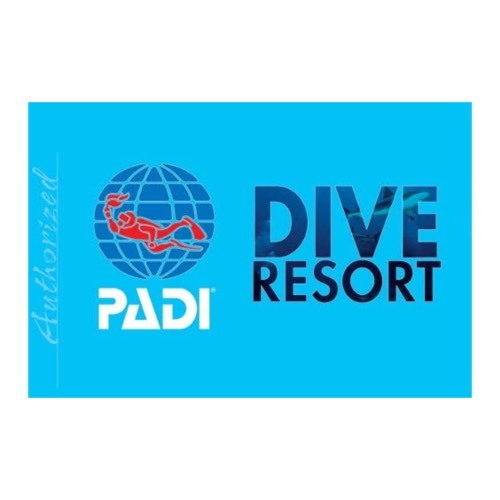 Here at our Beachfront PADI Dive Resort we have a hotel as well as a restaurant and bar, giving you the option to include accommodation or go all-inclusive (accommodation, food and drinks) with your PADI Open Water Course. 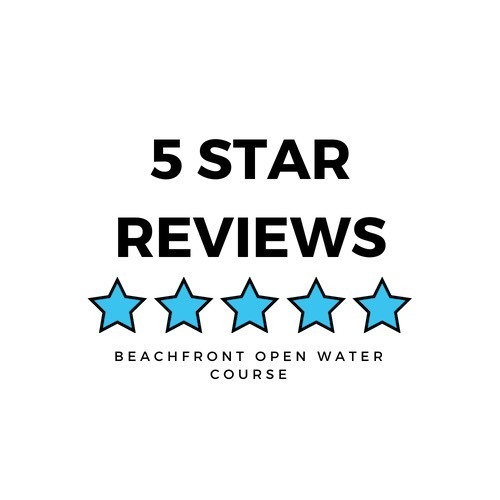 Learn to scuba dive with the full PADI Open Water Course plus 4 nights stay in a private A/C hotel room with our friends at PP Beach Front Hotel. This is the perfect way to enjoy the diving course as well as the fun and convenience of staying with us in our little corner of this tropical island. The full PADI Open Water Course plus 4 nights stay at PP Beach Front Hotel, as well as your choice of meals from our restaurant for the duration of your stay, on top of that drinks from our bar, and as if that wasn't enough we'll even give you a one of a kind hand-painted Beachfront Divers T-shirt, the perfect souvenir to take away with you. 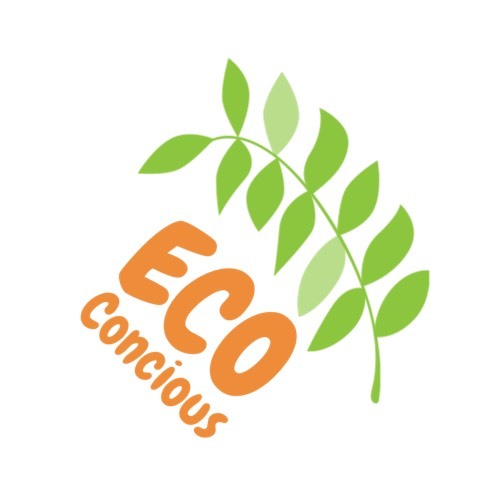 On top of that you will also get a Trash-Hero water bottle (refillable for free across Asia) so you don't have to be a part of the single use plastic problem, and can help protect our oceans. Enjoy a discount when you complete the full PADI Open Water Course, plus the perfect follow on in the PADI Advanced course; taking you from your first breaths underwater to teaching you to dive to 30m (100ft), how to night dive as well as diving on a shipwreck, you will also practice key skills such as buoyancy and navigation. After completing these two courses you will be prepared for recreational diving all over the world. 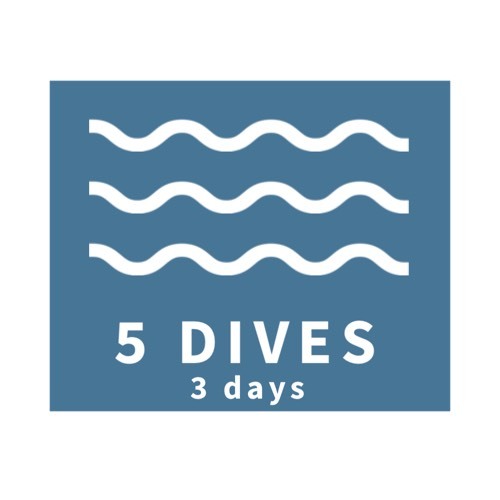 During both courses you can enjoy 10 dives over 5 days.